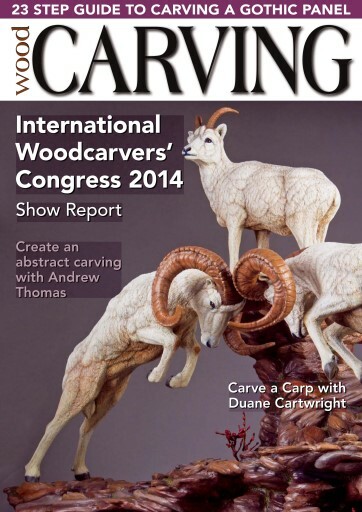 Issue 142 of Woodcarving magazine is filled with a host of great articles for you to enjoy. 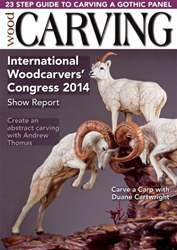 In ‘Techniques’, Peter Benson looks at caving form and detail and Chris Pye has part three of his surface finishing articles, which sees him looking at how to achieve smooth, untextured, unfaceted surfaces. 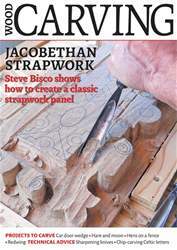 We also have some great ‘Projects’ for you, including an abstract sculpture by Andrew Thomas; Duane Cartwright carves a koi carp; Steve Bisco creates an openwork panel in oak; John Samworth outlines the planning and carving processes for making a bonsai tree; Mike Wood carves and paint an Indian pitta; John Vardon explains how to showcase your relief carving skills Glenda Bennet makes an eagle wall plaque. 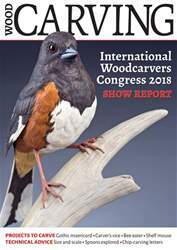 In ‘Features’, we spend 20 minutes with Victoria Clare; Susan Alexander brings us news from the 48th Annual International Woodcarvers’ Congress; we look at the remarkable carvings of Ronnie Sexton; and in ‘ The Art of Carving’ we look at Benoît Averly’s ‘Vortex’. We also have our usual ‘Tests & Equipment’ section, with the ‘Carver’s Toolbag’, and our ‘Community’ pages, featuring ‘From the Editor’, ‘Round & About’ and we also give you a sneak peek at our next issue. 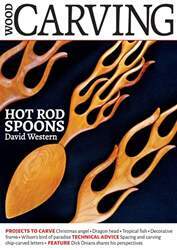 All this and more in Woodcarving issue 142!